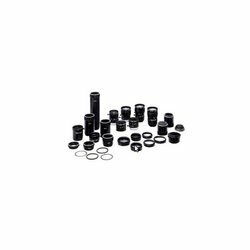 With thorough knowledge and experience of this domain, we are manufacturing and supplying a wide array of Machine Vision Lens. Our offered array of machine vision lens is manufactured by our experienced professionals in adherence with the industry laid standards. Furthermore, Offered lenses can be availed from us in various length and resolution. We are offering these machine vision lenses at highly reasonable prices. Our organization is highly acknowledged among the clients for offering a wide array of excellent quality Machine Vision Lens. These lenses are manufactured by our professionals using high quality raw material in compliance with the industry laid standards & norms. Very low maintenance cost and handling charge"